1. 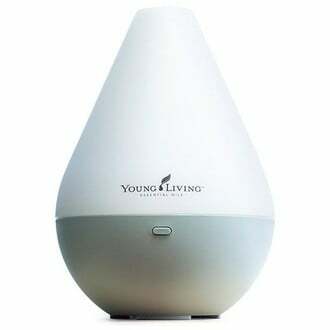 Young Living is the pioneer of the modern essential oils movement. No one else has been at it as long. Young Living has been the leader in the industry for decades and no one else has been an innovative or as committed to creating this pure and potent a product. Young Living was creating essential oils and organic products for self care and cleaning before it was trendy. They are a company others try to emulate and copy and compete with. Young Living sets the standard everyone else is trying to market themselves around. 2. Young Living offers a Seed to Seal Promise. They do not outsource their distilling process, and they own (yes, OWN) most of the farms where they harvest. They control the land on which they grow, which means much higher quality. They also ensure that the land has no pesticides. In fact, they use essential oils to control insects, never a toxic-to-us pesticide. Read more about the incomparable Seed to Seal Promise. 3. They take their third party testing seriously. Young Living uses true 3rd party testing and discloses the 3rd party publicly. They ensure that the 3rd party is not affiliated with the company in any way other than to give the quality test. 4. They offer an astounding number of single oils and blends — far more than other companies. If you buy essential oils from a store like Whole Foods or a health store they will never be of the highest quality. Even is you read the label and it says therapeutic…it may not be organic. Or maybe there are fillers in the mix. I would never purchase an essential oil from a health food store now that I know so much about them. I’ve even tried wild-crafted oils from a beautiful company that I thought made a high quality oil and they gave me a headache. The essential oil industry is highly unregulated, so you need to buy from the best. That’s Young Living. 5. Young Living offers organic, pure and potent essential oils, and have been the only oils I haven’t had a negative reaction to. But that’s not all. They also have an entire line of natural, pure household and beauty products. That means instead of walking down the aisles of the grocery store, reading every label to make sure the ingredients are OK to use in your home, you can rest assured that everything you buy from Young Living is natural and pure with no harsh toxins. 6. They give back in major ways all over the globe. I think the Foundation may be my favorite thing about this company! The Young Living Foundation is committed to empowering individuals to achieve their potential and defy limitations by providing wellness and education opportunities to underserved communities. Their latest projects include rebuilding 112 homes and 2 schools in Nepal after the devastating earthquake, Hope For Justice to end human trafficking and slavery in southeast Asia, Maestral Orphanage providing support to 125 children and young adults who have been removed from their families due to neglect, abuse, or other issues in Croatia, and more … Read about all of the projects here. 7. They offer farm tours! No another essential oils company that does this. Talk about trust-worthiness. You can visit a farm and see the harvesting and distillery process for yourself. You can participate. The founder ,Gary Young, took the art of Seed to Seal seriously. Young Living has farms open to the public, all over the world from Utah to France to Australia to South America and more. The global map is HERE. 8. The company practices ethically. Young Living is committed to ethical business practices and follows the DSA Code of Ethics. Young Living is a well-established, long running essential oils company with an awesome track record. 9. Partnering with a global company is a wealth-building strategy. Partnering with Young Living, is a beautiful way to create an income stream to build your wealth. While no one who uses the Young Living oils and products is ever obligated to sell them or operate as a business, for the people who do decide to create a direct sales business for themselves, Young Living has taken care of pretty much everything from shipping the product and ensuring their website is accessible for folks from almost every country. This is a modern company and they are growing around the globe. 10. Direct sales is fun and social. I’m accustomed to being a solo entrepreuneur and I’ve been solo most of my life. Having to find the courage to talk to strangers, make calls and send letters to find clients and create work for myself. I have been very successful at it because I had highly specialized skills and was persistent and reliable. This kind of business is different. It takes MUCH less energy because you have a community to lean on. I don’t feel as though I’m alone anymore and I did NOT expect that. The oils sell themselves. My job now, is to share and be my best self. It’s all about living the example that you wish for others. Just being yourself is what brings people to you and to Young Living.